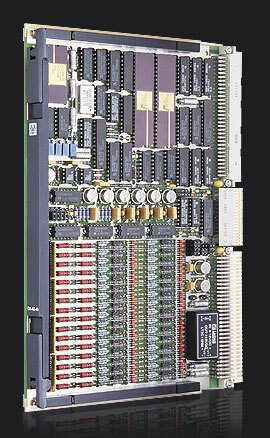 VMEbus 32 channel A/D board. 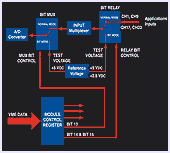 Auto-conversion circuitry performs all tasks relative to multiplexing, sampling & converting. The CM-AD-45 is a general purpose 32 channel A/D (Analog to Digital) board that incorporates features most demanded in first class military and industrial applications. On-board auto-conversion circuitry performs all tasks relative to multiplexing, sampling & converting of analog input signals. Dual port RAM acts as a transparent communications device between the A/D converter and the VMEbus. 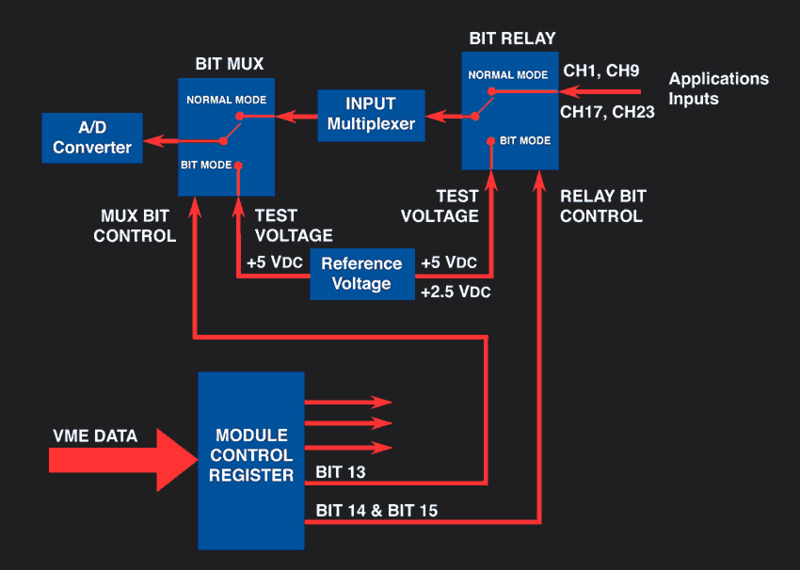 Extensive Built-In-Test per channel is based on a wraparound loop that disconnects external analog input signals and connects internal test signals in order to verify correct module operation. CM-AD-45 offers a flexible I/O cabling solution using connectors on the front panel & P2. Military versions with thermal overlay greatly improve capability to withstand shock & vibration. 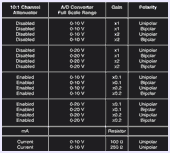 Input channels: 32 independent single-ended channels or 16 independent differential channels. A/D converter: 12 bit industry standard Analog Devices A/D 1674. On chip Sample & Hold. Sampling speed: Programmable sampling speeds: 12.5, 25, 50 and 100 Ksps. 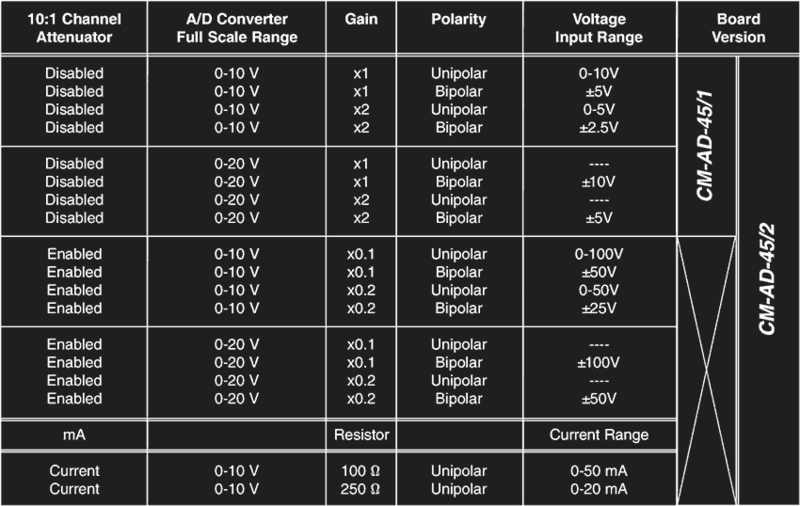 DC Unipolar range: 0-5V, 0-10V, 0-50V, 0-100V. DC Bipolar range: ±2.5V, ±5V, ±10V, ±25V, ±50V, ±100V. AC ranges: 0-5V, 0-10V, 0-50V, 0-100V. Ranges in mA DC: 0-50 mA (0-20 mA, 4-20 mA). Input attenuators: A 10:1 voltage attenuator is available in board version /2. It must be connected to operate with input ranges above 10 V.
Input protection: All analog inputs are protected against external over voltages up to 120 VDC. 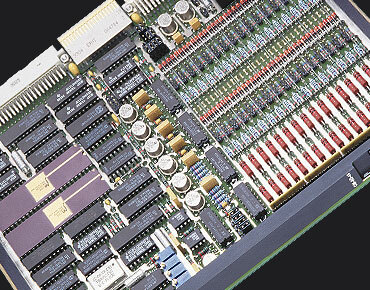 Dual port RAM: 4 KB of dual port SRAM, 16bits wide. The on board multiplexing/conversion circuitry fills data buffers in RAM with 16/32 or 2048 word size. Sampling cycles: All channels are converted & stored in RAM, freeing the master CPU. Control Register: Defines the RAM storage buffer size, enables/disables VMEbus interrupts, programs the A/D sampling rate and activates & Built-In-Test circuitry. Built-In-Test: BIT is based on two voltage references & dedicated relays distributed as to allow testing all on board analog & TTL devices. Accuracy: 0.05% for non attenuated input ranges. 0.2% for attenuated input ranges. Signal bandwidth: DC to 50 KHz. Input impedance: 470 K? default. Up to 5M? optional. VMEbus access time: 300 nsec. per RAM word transfer. VMEbus Interrupter: I(2-7). Indicates SRAM buffer filled with last converted data. Power consumption: +5VDC @ 350 mA. +12 VDC @ 135 mA. Mechanical size: Single slot 6U (233.4x160 mm.). 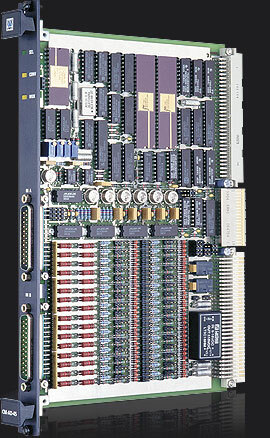 CM-AD-45/A: IEC-297 mechanics for 19 inch racks with I/O on front panel. CM-AD-45/B: Military IEEE P1101.2 wedge-lock mechanics for ATR enclosures. 32 single-ended analog channels per board. Channels can also be fitted as 16 differential. High quality AD1674 12 bit converter. Programmable sampling speed (12-100 Ksps). Dual Built-In-Test wraparound loop - testing of all analog & TTL chips. Wide variety of unipolar-bipolar input ranges. Overvoltage input protection on all channels. High voltage input attenuators per channel. VMEbus Interrupter indicates end of current sample cycle or RAM data buffer full. 4 KB DPRAM for conversion data storage. Automatic channel multiplexing, A/D sampling & data storage capability. Input protection per channel up to 120 volts. 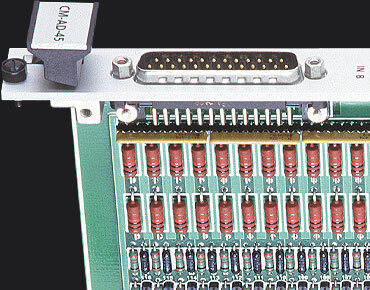 Analog signals via cannon connectors on front panel and VME64x connector on P2. IEC-297 mechanics with I/O via front panel & military P1101.2 wedge-lock mechanics. 1: 32 single-ended channel (16 differential) A/D board, 100 Ksps, 4 KB dual port RAM, without input 10:1 attenuator and current resistor per channel. 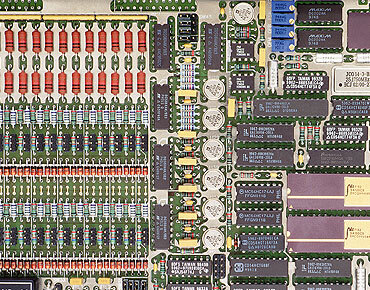 2: 32 single-ended channel (16 differential) A/D board, 100 Ksps, 4 KB dual port RAM, with input 10:1 attenuator and current resistor per channel. 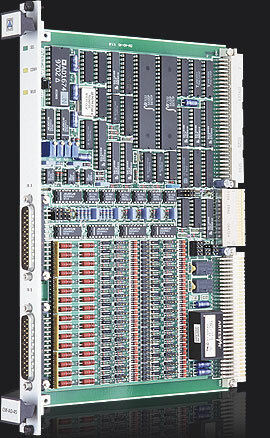 - 32 single-ended channel A/D board, 100 ksps, 4KB dual port RAM, with input attenuator. LEVEL 1, CM-AD-45 MAP: User´s manual. Module hardware functional description oriented toward software development. LEVEL 2, CM-AD-45 MMT: Maintenance manual. Extended description intended for failure location in the module. Wind River Systems VxWorks Tornado: The CM-AD-45 is supported by VxWorks Tornado. This operating system is ideal for developing real time software under UNIX environments. A complete "C" language driver in source code is available at low cost. Drivers include a floppy-disk and user's manual.